Do you have the cookie confidence? Come with me on this journey, and I will show you how to get that cookie confidence! Will you? Welcome back to another gluten-free recipe of cookies without baking powder soda. 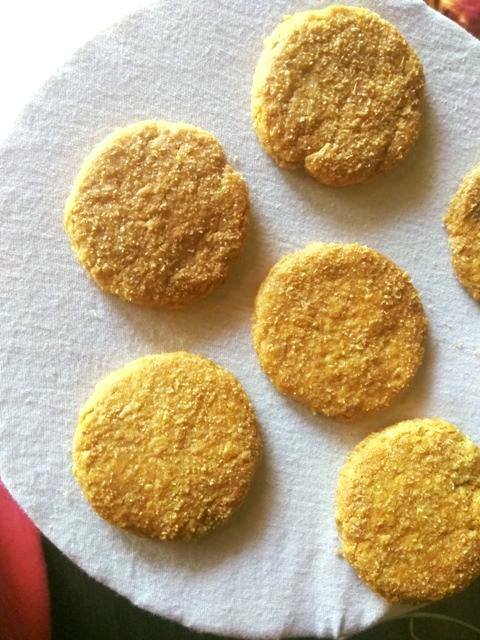 This almond cookie recipe is special because it uses the goodness of carotene-rich carrots, which is converted by the body to Vitamin A - essential for your eye health. Again, the refined sugar-free part makes it even healthier. The gluten-free cookie recipe uses olive oil, with the minimal use of butter or ghee. On top of it, this is another from my series on baking without baking powder, soda, or all-purpose flour. What more could you ask for? Did I say there is no refined flour here? 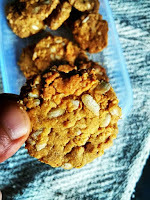 This simple cookie recipe gives you an overload of fiber from nutty almonds, minerals from jaggery, vitamin E from extra virgin olive oil, and protein and carbs from brown rice flour. 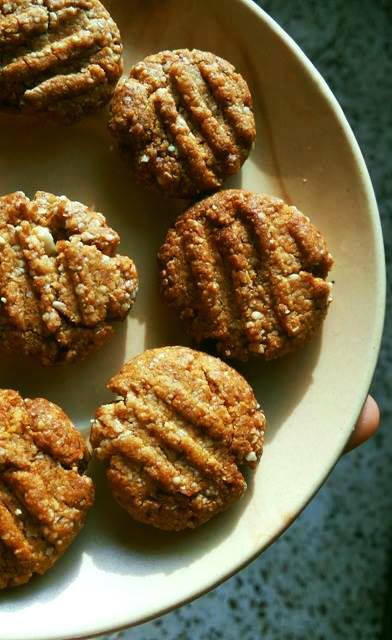 All in all, this simple healthy cookie recipe packs a powerful punch in terms of health. 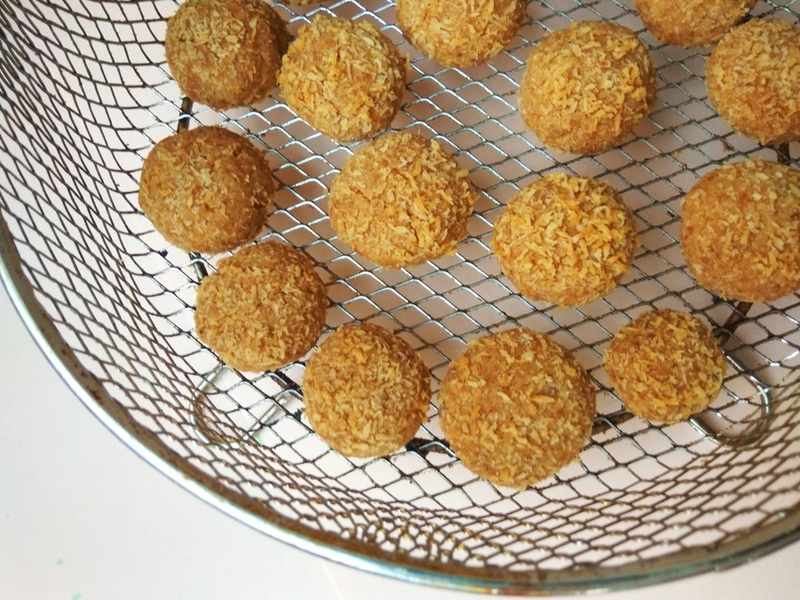 You cannot stop munching on these crunchy bites. But I do not advise doing so, for a cookie is a cookie! When health freaks see sugar as evil, what is the best sweetener to use for baking? I have imposed a ban on refined/white sugar at home. Perhaps sugar is not that sweet when it comes to your health and wellbeing. While white/refined sugar is only "EMPTY CALORIES" - bleached and drained of all minerals, jaggery does fit in as a healthier alternative. It is unrefined and loaded with minerals that sugar lacks. 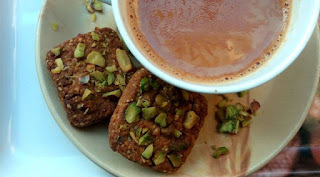 No doubt, even jaggery tends to raise calories, it is relatively healthier than white sugar because of its nutritional value. So the next question is: Which jaggery powder do you use for baking? Jaggery oozes out of cookies, staring at us. It does not cream well during the creaming process. How do you ensure it stays normal after baking? Cookies become soggy after a few days. These are a few questions that I often get asked. Always use dry Organic jaggery powder and grind it into finer powder to ensure it incorporates well during the creaming process, dries out during the baking process, and keeps cookies crispy/crunchy days after baking. Refrain from adding grits. Use a sieve to sift jaggery to remove all the grits. Creaming process is the most important for baking without baking agents. Check my cake baking basics to learn it all about the importance of creaming process for baking. NEVER EVER KNEADING my cookie dough- kneading will result in the formation of gluten, which will give you chewy cookies, just like chapatis. So what are the highlights of this gluten-free carrot cookie recipe without baking powder, soda? Start with adding olive oil and jaggery powder to a bowl. Whisk whisk whisk. 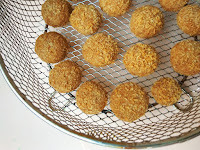 This step is crucial to making crunchy bites without baking agents. Yes, this is the creaming process, though we are not using butter here. The process remains the same. I prefer using my hand whisker. You have got to have muscle power to whisk the mix. Then add black salt and ghee and start whisking again. Add grated carrot and nutmeg. Whisk for 1 more minute. Then start adding the gluten-free flour. I initially added 1/2 cup of it and then added 1 cup almond meal. Then I found the dough to be v loose, so decided to add 1/4 cup more of rice flour. The recipe is versatile. You may even add 1/4 cup more, which would make it 1 cup of rice flour. But that is completely optional. Since I am used to handling such loose dough, I went ahead with 3/4 cup of rice flour and got really crunchy cookies. Mix and keep the dough covered for 30 minutes. I do not refrigerate the dough. But again, if you are not used to such loose dough, you can always refrigerate it. This is your choice and shouldn't make much of a difference in the texture of the cookie. 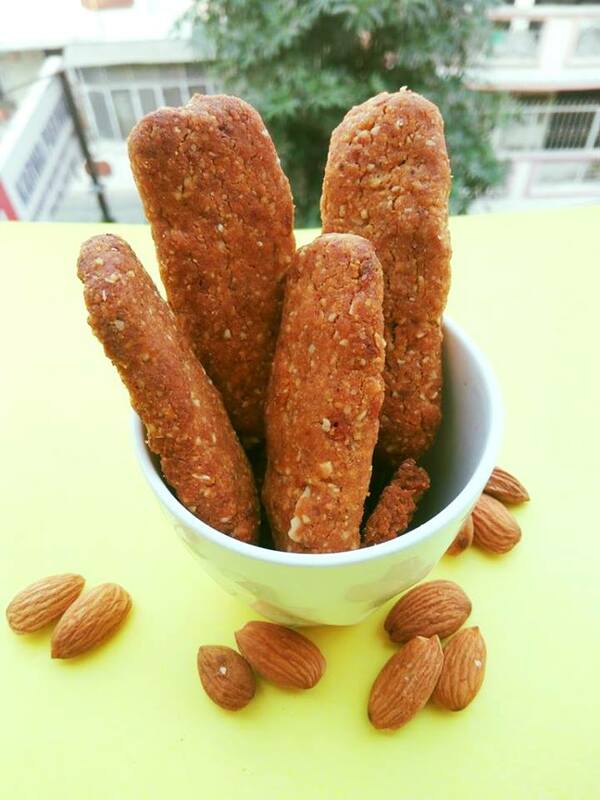 The almond fingers taste absolutely crunchy both ways. Do no knead the dough, else, you will only get chewy cookies. The idea with baking without baking powder is to mix and incorporate the ingredients, without applying too much pressure. The lesser the use of your hands, the crunchier the bites! While shaping the almond fingers, do not use force. Press gently to give shapes. Avoid keeping these too thick. Else, cookies might remain soggy from inside. Preheat the oven/airfryer/convection to 160 degrees for 10 mins. Airfryer can be preheated for only 5 mins. 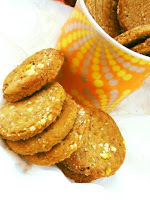 This is another of my airfryer cookie recipe. I find an airfryer as the best investment for a home baker--- of course, if you bake for the family alone. Bake/airfry at 160 degrees for 20 mins. lower temperature ensures slow heating and even baking. This will further crisp up your gluten-free cookies. There is no risk of browned bottom too. The addition of 2 tablespoon oats powder to this dough will give you a tempting cookie without baking powder - the pistachio cookies. Check this out.